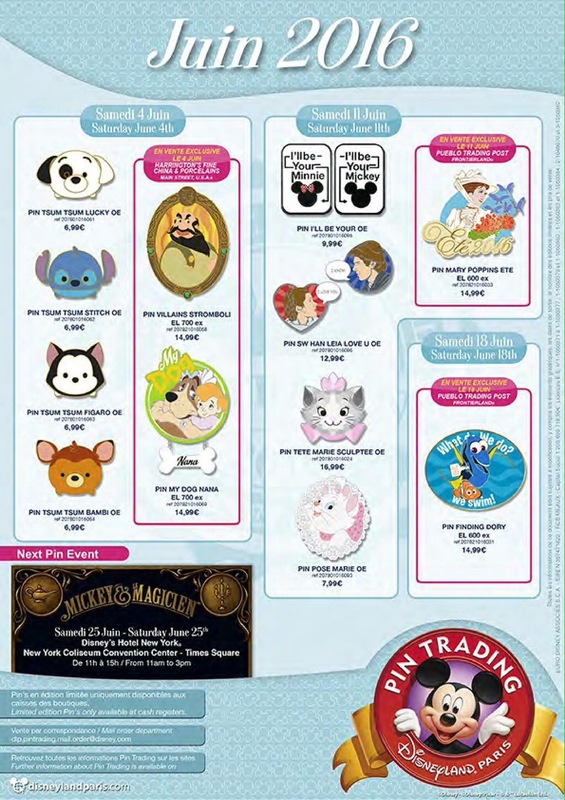 This months Trading Pin poster has been released by Disneyland Paris. The Tsum Tsum pin releases continue next month with four more cutie Tsum Tsum pins available. For the Star Wars fans a Leia loves Han Solo pin is released and I think the one that everyone will be after next month will be the limited edition Finding Dory pin, which is released at the Pueblo Trading Post on 18 June. The Disney Magic carrying 2,700 passengers and 950 Cast Members and Crew docked at the Liverpool Cruise Terminal in the early hours of this morning. The Disney Cruise Line ships visit to Liverpool is part of it’s 14 night East Bound Transatlantic cruise which departed from Boston on 15 May 2016. The Disney Magic is scheduled to depart Liverpool at 6.15 PM today and is set to return to the city on 12 June 2016 as part of its 12 night British Isles Cruise around Great Britain, Ireland, Scotland and France where it will depart Dover on 5 June 2016 and will visit Newcastle, Invergordon, Kirkwall, Greenock, Liverpool, Dublin, Le Harve and Guernsey. 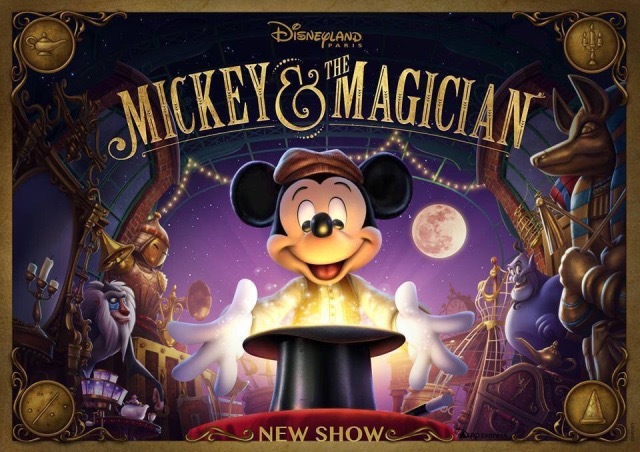 Disneyland Paris will be hosting a Dream Annual Pass holders preview of the new Mickey and The Magician show at Walt Disney Studios on the 29 and 30 June. Further details can be found in this months edition of Envie de+. Euro Disney S.C.A. is due to hear this week whether offering jobs as performers at Disneyland Paris only to “European” candidates amounted to discrimination. The trial, triggered by a complaint from anti-racism groups, has taken nine years to reach its conclusion at a courtroom in Meaux, near the park to the east of Paris. A guilty verdict carries a possible €225,000 fine (£171,500 / US$251,500). French activist group SOS Racisme claimed the adverts were discriminatory and made an official complaint in February 2007. Euro Disney S.C.A. said the advert was a one-off that had been badly worded. Adverts for the same positions placed at job centres and on its official website did not use the same wording. Prosecutors called for the case to be dropped in 2013, but a group of former SOS Racisme campaigners appealed the decision. “We hope Disney will finally be convicted for one of its numerous acts of racial discrimination,” said Samuel Thomas, who made the initial complaint and appeal. Since the early 2000s, Thomas has launched several complaints against the company which has a turnover of 1.3 billion euros and employs 15,000 people. Euro Disney says it has some 100 nationalities speaking 20 languages among its staff, and won a “Diversity Label” status from the government in 2008 in recognition of its efforts to build a mixed workforce. Disneyland Paris 9th most visited theme park in the world. The Themed Entertainment Association has published their 2015 Global Attractions Attendance Report and Disneyland Paris has been listed as the 9th most visited theme park in the world, and number one in Europe with 10.3 million visitors. The report is the definitive annual attendance study for the themed entertainment and museum industries. The Walt Disney Studios Park at Disneyland Paris came 5th in the list of top 20 theme parks in Europe with 4.4 million visitors. Euro Disney S.C.A. calculate their attendance figures on a ‘first click’ basis. So if a Guest enters the Disneyland Park during Extra Magic Hours then park hops and visits Walt Disney Studios, their entry is not counted in the total number of visitors to the Walt Disney Studios Park that day as they had already entered the Disneyland Park first. In the last 10 years between 2005 – 2015 the Disneyland Park has seen a 0.2% change in attendance, while the Walt Disney Studios Park, which has seen increased investment by Euro Disney S.C.A. with the opening of the Toy Story Playland with it’s three new attractions in 2010 and with Ratatouille: The Adventure in 2014 saw a change of 7.8%. In Europe theme park attendance shows a bit of growth, except in the United Kingdom where both Merlin Entertainments resorts Alton Towers and Thrope Park saw a significant decrease in visitor numbers. Alton Towers saw attendance numbers drop by -25.2% in 2015 and this is most likely due to the Smiler rollercoaster accident in June 2015 in which 16 people were injured, four with significant life changing injures. This incident forced the closure of the park while accident investigations were carried out. Merlin’s Thrope Park also suffered -11.9% drop in attendance. In North American Disney and Universal theme parks performed very well with an impressive 5.9% increase in attendance numbers. Disney was up 6% in attendance and alone accounted for nearly 40% of the growth by the top six US operators – Disney, Universal, Sea World, Six Flags, Cedar Fair and Merlin. Globally the theme park market in China is booming with four parks seeing very significant increases in visitor numbers resulting in a 6.9% attendance increase at theme parks in mainland China. Opening in just a just a few weeks time will be The Shanghai Disney Resort and this park opening is expected to be a watershed event and it is expected to do very well and have a positive effects on the region. Possibly to the decrement of Hong Kong Disneyland which saw attendance drop by -9.3%. The future attendance figures of Hong Kong Disneyland remain uncertain in the short term while the spot light is shining on Disney’s newest theme in Shanghai. Below are the rankings of the top 25 theme parks worldwide and the top 20 for Europe. 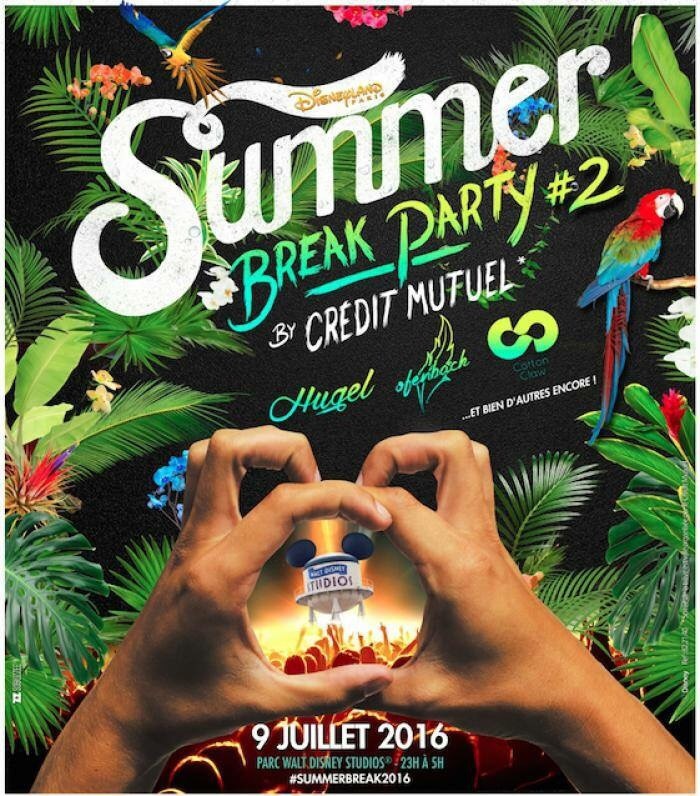 On Saturday 9 July 2016, from 11:00 PM until 5:00 AM in the morning, Crédit Mutuel will host the “Summer Break Party #2” at the Walt Disney Studios Park at Disneyland Paris. That night the Studios will vibrate to the rhythm of Electro, Pop, and House music! On the main stage, an exceptional line-up of some of France’s top DJ’s will be spinning the decks including the quartet Cotton Claw, the Parisian duo Ofenbach and the young and talented DJ Hugel. Lightning McQueen, Mater and Finn McMissile to appear at Brands Hatch’s SpeedFest IV. Lightning McQueen, the hotshot hero of Disney-Pixar’s Cars movies, will return to American SpeedFest IV at Brands Hatch on 11-12 June 2016 as one of the star draws in the event’s massive off-track show. 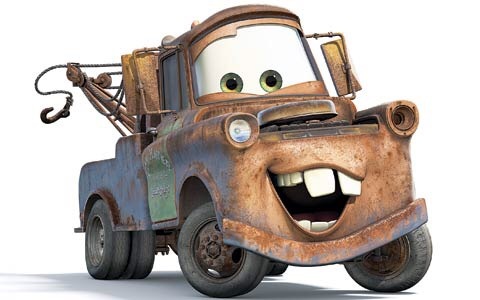 McQueen, hero of the Cars movies, will be joined once again by his best friend Mater and SpeedFest debutant Finn McMissile. All three cars will be on prime display on both Saturday and Sunday in a dedicated area for famous cars from the silver screen. 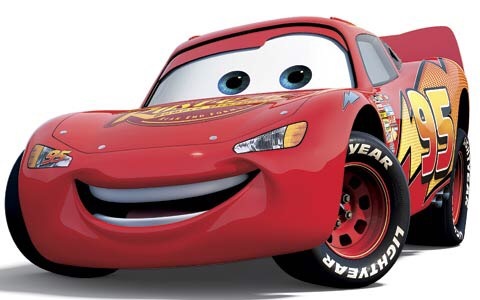 Lightning McQueen, resplendent his iconic ‘Rust-eze Red’ livery with his famous number 95 and go-faster lightning stripes emblazoned on the side, will be the star attraction, but Mater, McQueen’s best friend, is equally popular and his trademark toothy grin will make a second appearance at SpeedFest. 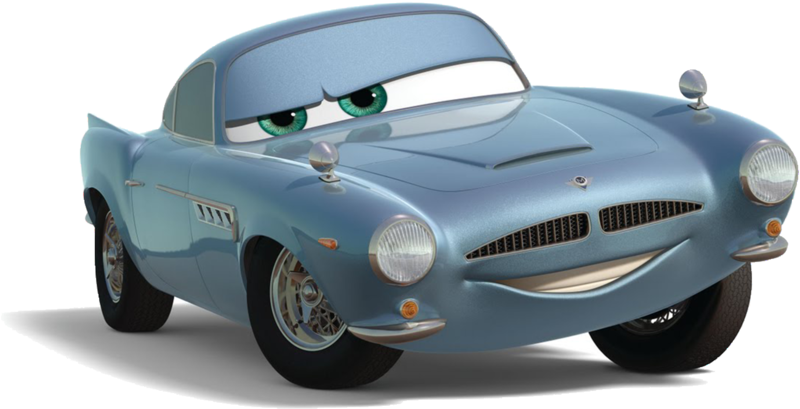 Meanwhile Finn McMissile, the dapper British secret agent car voiced by Michael Caine in Cars 2, is a completely new addition. All three cars have been loaned to the circuit by Disney-Pixar and will be available for photo opportunities. Under-13s go free at SpeedFest, so this is a great opportunity for parents to bring the little ones along to pose with some of their favourite film characters! SpeedFest’s increased activities on the Saturday this year encompasses the addition of extra off-track content, with more display cars, monster truck shows and rides and other family-friendly attractions taking place throughout the whole weekend. Lightning McQueen’s real-life counterparts will be in action across both days too in the NASCAR Whelen Euro Series, Europe’s top-level stock car championship, which features machines inspired by the world-famous Sprint Cup. Sunday, however, will remain the Main Event day, with a full programme of racing, demos, live music and a show-stopping opening ceremony prior to the main Euro NASCAR race. 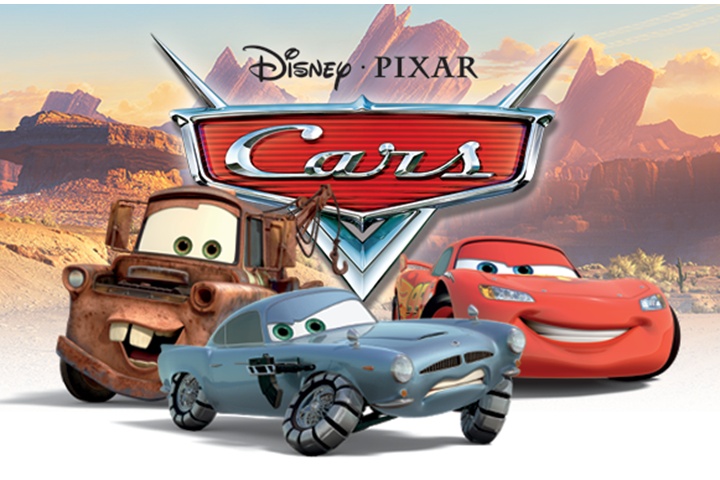 Brands Hatch Motorsport Events Manager David Willey commented: “I’m thrilled to confirm that Disney-Pixar’s Lightning McQueen and Mater are returning to Brands Hatch for American SpeedFest IV! And I’m particularly delighted that we’ve been able to secure Finn McMissile for this year’s event too, even if he is already causing me to suffer from moustache envy! Admission to the event is free of charge for under-13s, whilst there’s a discounted rate for 13-15-year olds. Adult tickets are £23 online. For more information, or to book telephone 0843 453 9000 or click here.